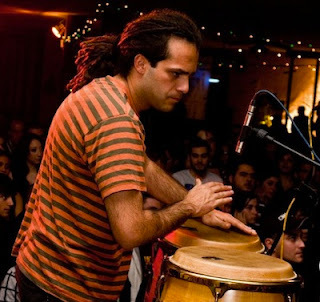 ...we have a fantastic Musicality weekend workshop coming up with Michael Galea, a local talented percussionist (from Etnica, Brikkuni, and the Jazz fest). During these three sessions, we will be looking into pulse and form, analyzing a song from Di Sarli, another one from D'Arienzo and a Vals. OPEN FOR ALL who are interested in taking a deeper look into music...we will be dancing a bit but nothing complicated. The focus is on listening with new knowledge. You may get nibbles and drinks..i will provide some stuff too and we can have a party. Sessions are 1 - 1.5h long. Price is 30 euros in total for the 3 sessions.